Hollister Home 4 Sale Private Ct.
Take 3 min. and watch the VIDEO/Aerial Tour of this ‘turn-key’ home. It is like walking thru the house and neighborhood. 1651 Sonoma Court has been freshly painted inside and out, has brand new carpet and bathroom floors. Before the close of escrow there will even be a new roof. The termite inspection and work has been done. Here you’ll find: 4 bedrooms, 2 full baths, offering 1,600 sq. ft. of living space, a 2 car garage and sizable 8,861 sq. ft. lot. Sitting at the end of a private court 1651 Sonoma is just one of 9 other homes in the court. And talk about privacy: the park-like setting in the backyard has mature trees and landscaping such that there are no neighbors peering in. The side yards are also large and ready for gardening, storage or….. Finally, the location couldn’t be better: a short walk takes you to the popular Cerra Vista Elementary School with its community park adjacent to the school; Veterans Memorial Park is nearby and features 6 baseball diamonds, a skate park and picnic areas. In a short drive you’ll arrive at the “Hollister Hills State Park” where you can enjoy your off road vehicles in a great setting. “Gilroy Premium Outlet Center” and “CalTrains” are just 20 min. North. “CalTrains” goes right through Silicone Valley and on up to San Francisco. Lastly, the beaches and Monterrey are just 30-40 min. West of here. This is an ideal firs home or, an investment property. At this price it may not last long. Make sure to come see it or watch for “Open House” notices. Here’s the tough reality James: you listed 11 horrific events above. A total of 12-15 people did all of that. There are 325,000,000+ Americans who are mostly good people. Laws, regulations and rhetoric can’t and wont change crazy people’s intentions. What we desperately need are families who raise children in loving homes where ageless values are taught and exhibited. We need to teach that LOVE for, and patience in, all our of neighbors is SO important. There are not enough police and jails and laws to insure that all will stay on the path of caring and patience with differences. It has to come from inside each of us. I’m glad you are safe and shared your thoughts. God bless humanity. This VIDEO/Aerial Tour will give you a hint of how nice 351 Regal Dr., Hollister is. 4,252 sq. ft. of living space offering: 5 sizable bedrooms, 3.5 baths, 3 car garage and dual A/C and heating zones are just the beginning of this Western Pacific built home’s offering. There is a down stairs suite complete with separate bedroom and full bath. So if you have a newlywed who’s in between school and job, your mother-in-law or visiting friends this home could work for you. There is a whole-house-water purification system and an R.O. filtration outlet at the kitchen sink; stainless steel appliances; walk-in pantry AND a Butler pantry. One of the second floor bedrooms has its own lanai. The master suite is so large it spans the entire south side of the house. It offers a jetted tub, glass enclosed shower, double sink vanity, two individual walk-in closets and a 12 x 18 bonus room beyond them. You can safely walk to the much sought after Ladd Lane Elementary and the best shopping center in Hollister. 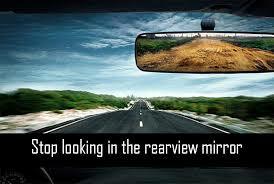 Or, drive a short distance to Ridgemark Golf & Country. Hollister Hills State Park is also a few minutes away. Likewise, Veterans Memorial Park with its 5 baseball diamonds, skate park and tree covered picnic areas are less than 5 minutes away. Finally, Gilroy Premium Outlet Center and CalTrain are only 20 min. north of here. Why not plan on your own personal tour or join me during an Open House from 1-4 on Saturday? I grew up in a little town in Contra Costa Cnty, CA and played sports in the ACCAL League. The majority of folks were African-Americans. I was the minority. I know, 1st hand, what it is like. There were several events which could have made me categorize all people, of certain groups, as my enemy. Luckily, to this day, I’m ‘color blind’. I watch what individuals DO when they’re not in the spot light; what daily choices they make. I’ve found there are many, many good people from all walks. This approach has brought me peace even where events could have caused me to be angry. I wish more of us were ‘color blind’. I wish more of us operated from love of our fellow travelers. It would be so much more productive and peaceful if more of us looked FORWARD with hope and enthusiasm. Learn from the past. Repeat the past good and don’t continue its bad. But focus more on today and the future. There is a reason the review mirror in our cars is so much smaller than the windshield. Enjoy this classic Beatles’ song: “All You Need Is Love”. Watch this VIDEO/Aerial Tour of a great home in the foothills of San Juan Bautista. Then come see it for yourself: 412 Via Vaquero Sur. POOL & spa! Perfect for these hot summer days. Solar heating provides year-round pool and spa enjoyment. There is also a coy pond and private sitting area under soft lights with remarkable views. A new BBQ with a convenient, tiled preparation islands on either side provides for fun entertainment. There is a regulation-size horseshoe pit for added outdoor recreation. Fruit trees and all landscaping are on automatic drip lines. A large RV driveway has its on sewer access for convenient drainage after a trip. You can have all of these desirable features due to the lot size, over 1/2 acre! Within this gated community is a tennis and a basketball court, a playground and cozy activities building. Down the road is the award winning “San Juan Oaks Golf and Country Club”. Inside is 3,645 sq. ft. of living space which includes: 4 large bedrooms, plus a sizable office; 3 full baths; 3 car garage; granite, tile; a complete guest suite on the first level; indoor laundry; kitchen with its own butler pantry, newer appliances, and ample cupboard space. There is easy access to the dining area and a natural flow into the large family room – perfect for entertaining. The master suite is privately located on the West end of the second level and has a huge bathroom with: separate, glass enclosed shower plus an inviting tub, 3 vanities and double sinks, huge walk-in closet with its own windows. 18′ ceilings in the living room and dozens of windows throughout the house provides an open and bright feel to this great home. Watch for Open House dates. In the meantime come visit this great house and, or, watch its VIDEO Tour.